Lack of funding meant that Cannock Chase Council had to stop installing carbon monoxide (CO) alarms in its properties, but now it has started installing them again and the mains powered alarms will be a permanent feature in all council properties with gas and solid fuel appliances and open fireplaces. The council will be fitting the Aico Ei261 ENRC carbon monoxide alarm into its properties. This alarm has been selected for its interconnection with smoke, heat and multi-sensor alarms which are already fitted throughout the council’s 500 properties. Each alarm system also features a wall-mounted alarm control switch which quickly allows residents to identify and locate the source of the alarm as well as being able to test all the alarms from a central control panel. Interconnecting the alarms means that if one sounds, they all do. This ensures that the alarm is heard throughout the property and therefore provides the earliest warning possible. This is particularly important with respect to elderly and less mobile residents. The council prides itself on being a forward-thinking local authority and has been wanting to continue installing these alarms for some time. The Ei261 ENRC alarm is a mains powered CO alarm with a rechargeable Lithium Cell back-up. It incorporates a special cost-saving CO sensor design which is pre-calibrated and tested in the presence of CO gas. 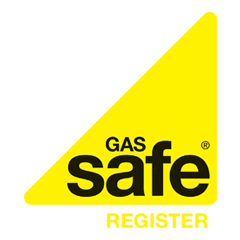 It also has high and low level indicators with a red warning LED for when CO levels become particularly dangerous, although with CO there is not any real safe level as the gas can build up over time. The alarm also has a manual Test/Silence button, a Quick CO Gas Test facility and a memory feature which informs the occupant of a property if there has been a build up of CO during absence. Carbon monoxide alarms are a home essential and can help to alert occupants to the presence of the poisonous gas. Difficult to detect, carbon monoxide poisoning can be fatal if inadequate safety precautions aren’t taken.